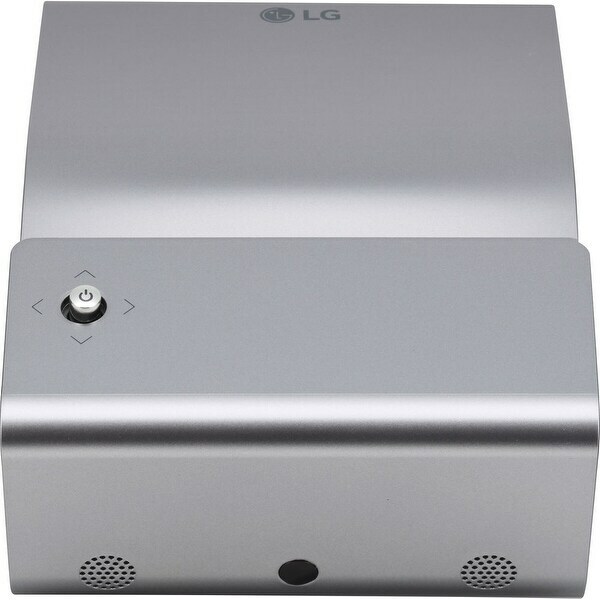 Enjoy HD projection nearly anywhere with the LG PH450UG 450-Lumen HD Ultra-Short Throw LED Portable Projector. It has a native resolution of 1280 x 720 for viewing high-definition images, and an ultra-short throw ratio so you can enjoy images as large as 80" from only 13" from the viewing surface. Its built-in 2.5-hour rechargeable battery will let you use it in places where you may not have an available power outlet. The PH450UG has a built-in 2W stereo speaker to add sound to your presentations. It supports many popular video, audio, photo, and document file formats via its USB port, allowing you to make your presentations without connecting it to a computer.